Place ingredients in blender or food processor. Cover; blend on high speed about 30 seconds or until smooth. Pretty in pink! 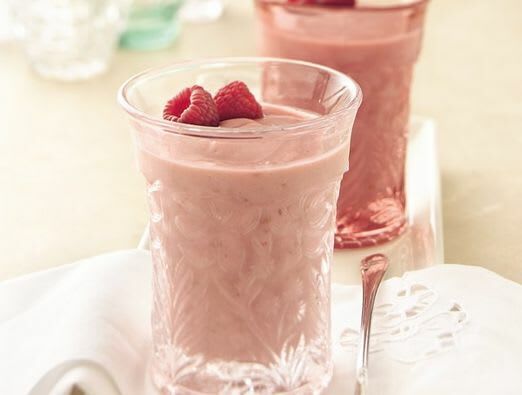 Garnish these creamy smoothies with a couple of fresh raspberries.